Sustainable natural resource use requires that multiple actors reassess their situation in a systemic perspective. This can be conceptualised as a social learning process between actors from rural communities and the experts from outside organisations. A specifically designed workshop oriented towards a systemic view of natural resource use and the enhancement of mutual learning between local and external actors, provided the background for evaluating the potentials and constraints of intensified social learning processes. Case studies in rural communities in India, Bolivia, Peru and Mali showed that changes in the narratives of the participants of the workshop followed a similar temporal sequence relatively independently from their specific contexts. 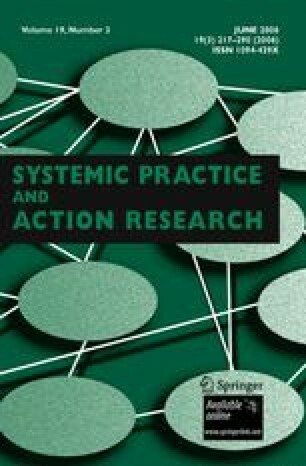 Social learning processes were found to be more likely to be successful if they 1) opened new space for communicative action, allowing for an intersubjective re-definition of the present situation, 2) contributed to rebalance the relationships between social capital and social, emotional and cognitive competencies within and between local and external actors. The research for this paper was jointly supported by the Swiss National Science Foundationthrough a research partnership project on Social Learning for Sustainability (SOLES), and Individual Project 1 (IPI) of the Swiss National Centre for Competence in Research (NCCR) North–South. We also express our gratitude to Ted Wachs and Anne Zimmermann for their revision of the manuscript.